Katherine G. Stephens, PhD, MBA, FACHE, has been appointed as the Associate Dean for Graduate Medical Education (GME) by the USC School of Medicine. Dr. Stephens will continue to serve in her role as Vice President for Medical Education for Palmetto Health and the designated institutional official for the Palmetto Health/USC School of Medicine GME programs. This joint leadership role will enable Dr. Stephens to oversee the administration of all GME programs. Dr. Stephens has provided oversight for USC’s 12 residency and 11 fellowship programs since 1998. 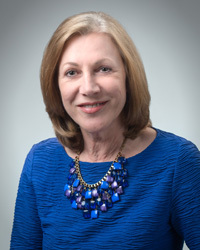 She has served as a former president for the Association for Hospital Medical Education and is currently a national site visitor for the Clinical Learning Environment Review program of the Accreditation Council for Graduate Medical Education. She is also an Assistant Professor of Clinical Neuropsychiatry and Behavioral Science at the USC School of Medicine. For more information, please visit http://www.med.sc.edu/news.06.11.15.asp.